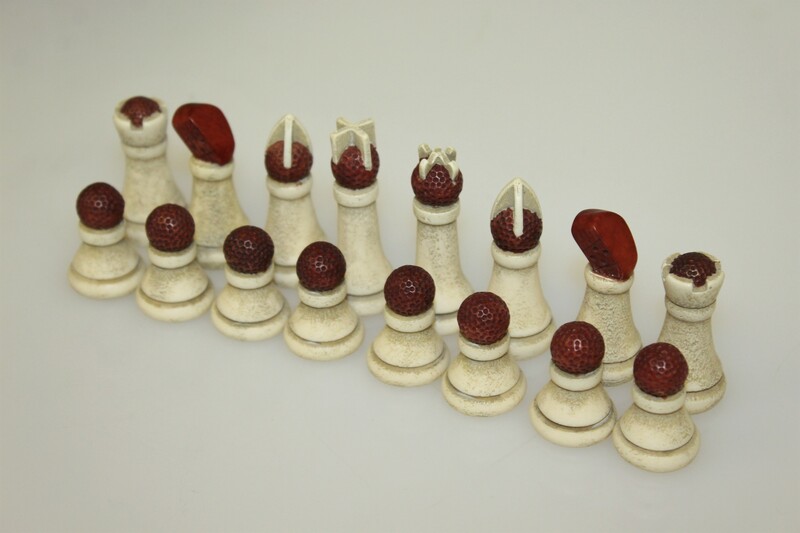 The golf balls are incorporated into each piece, save for the knight which has a club head incorporated. 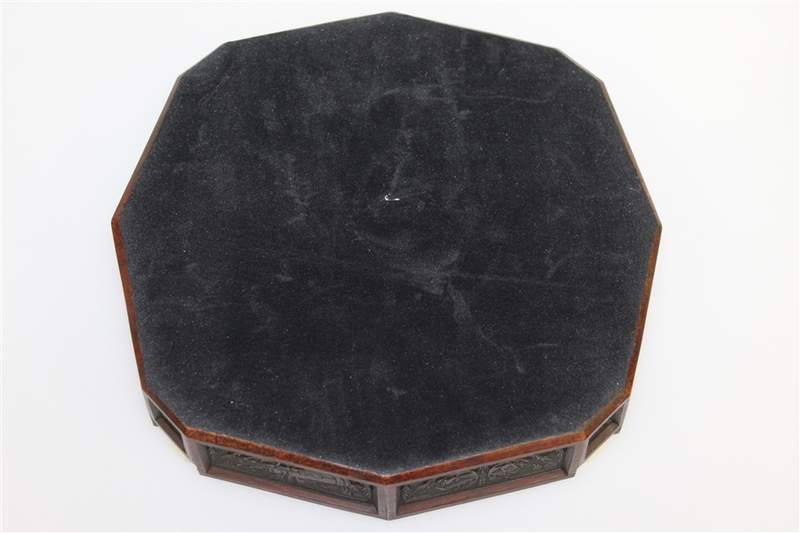 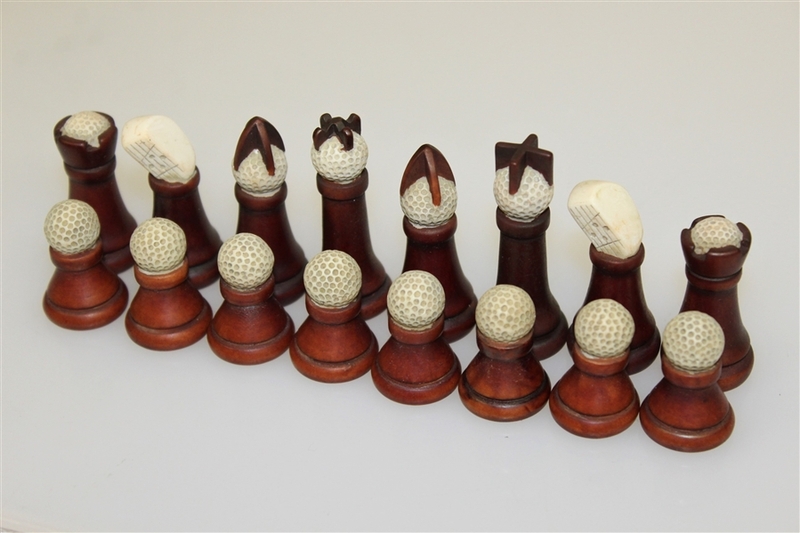 Clubs or golf balls appear in each square and the edges are ornately detailed. 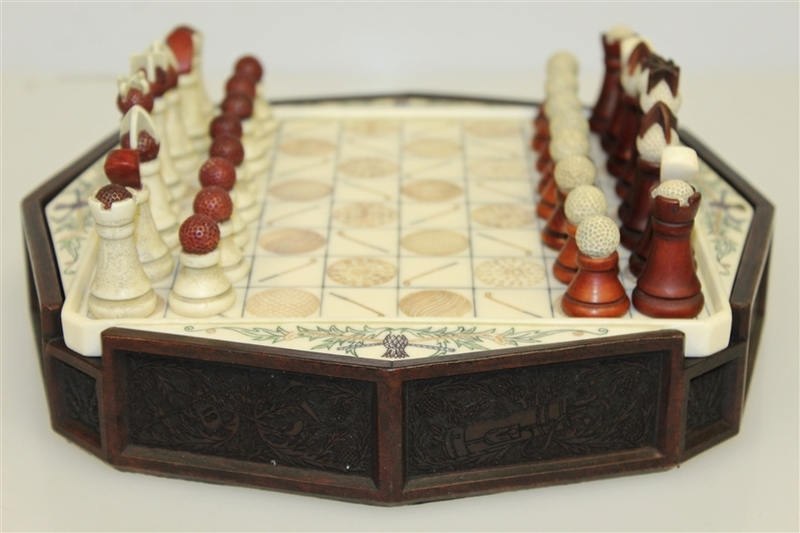 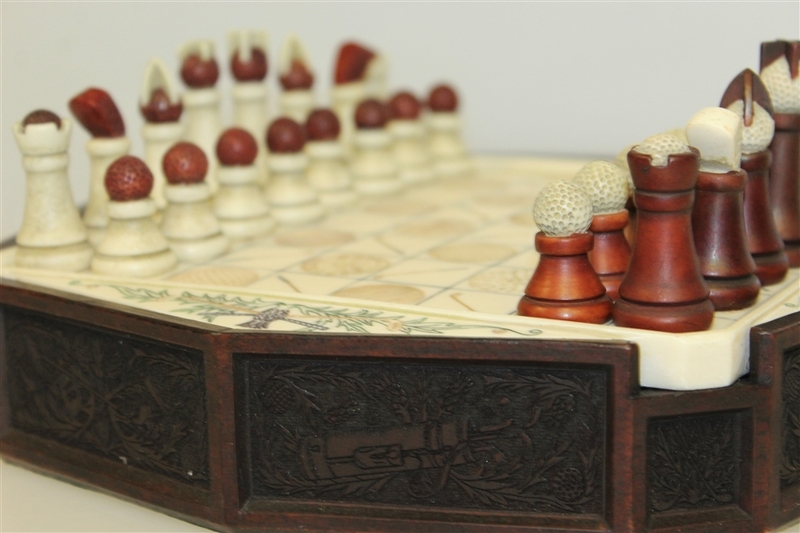 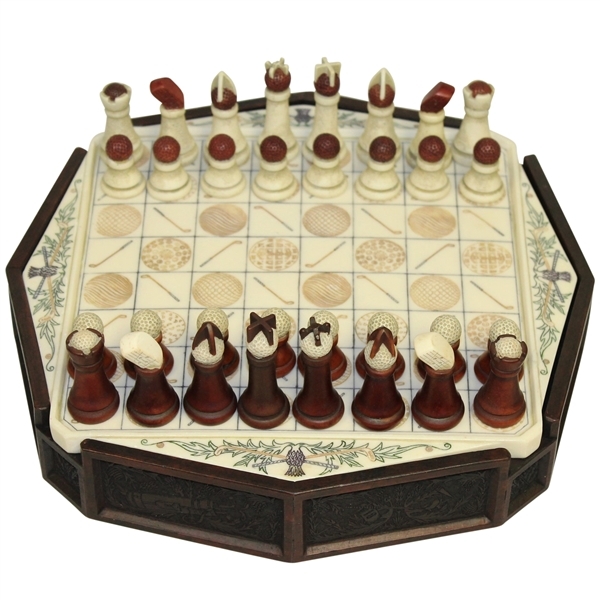 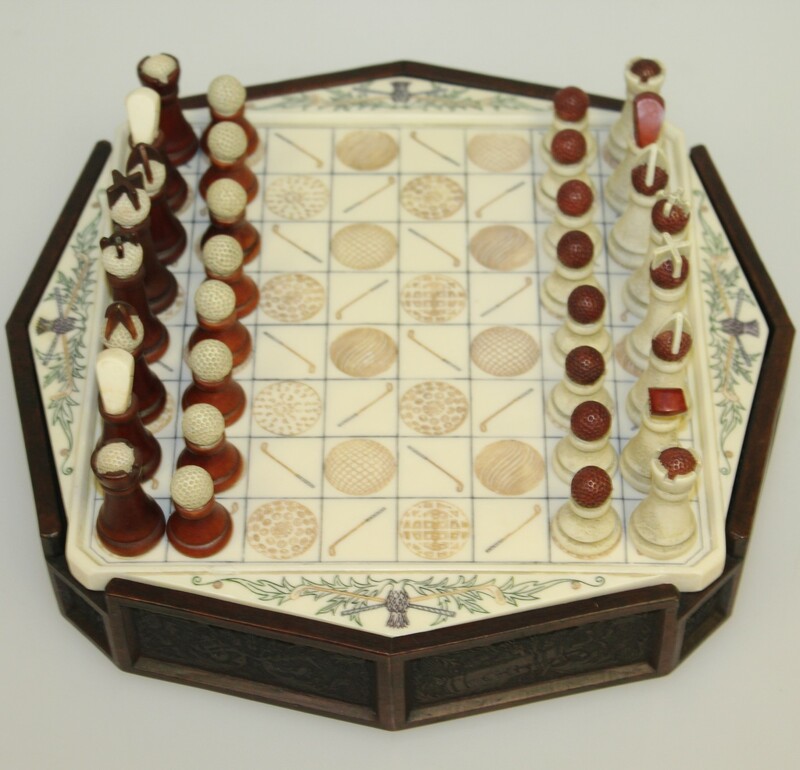 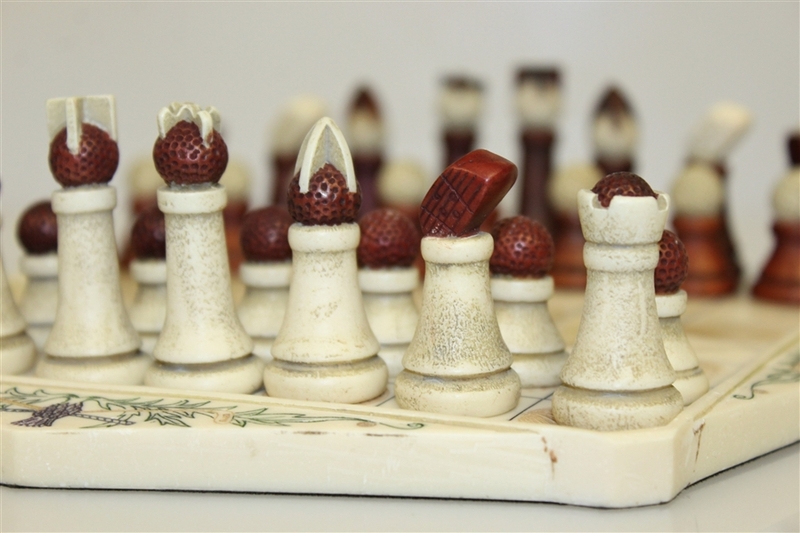 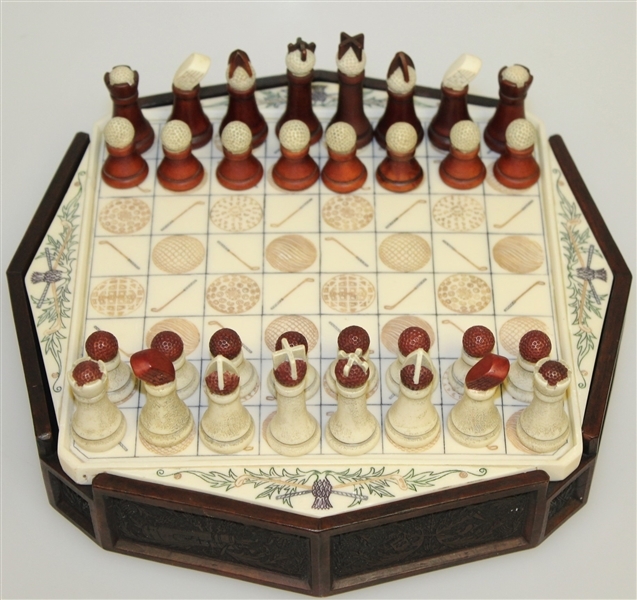 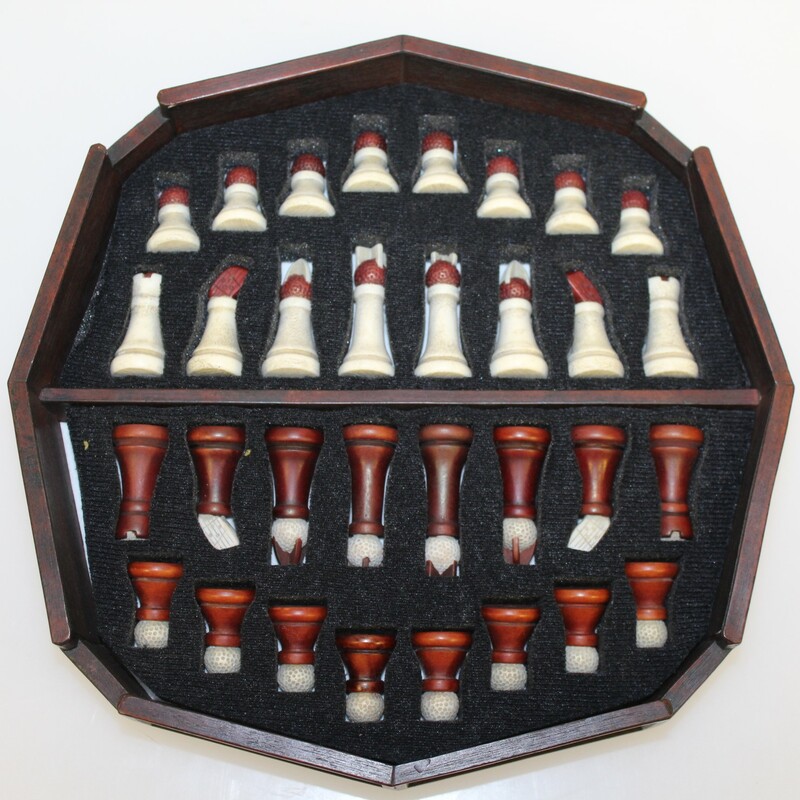 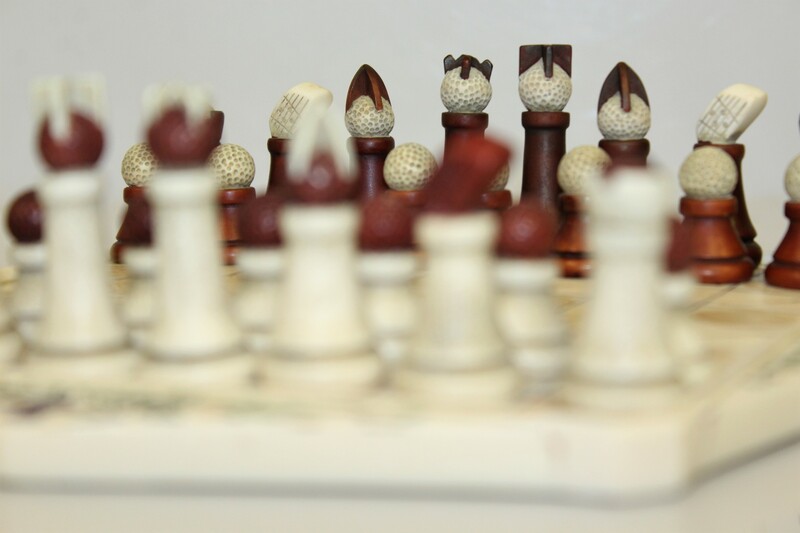 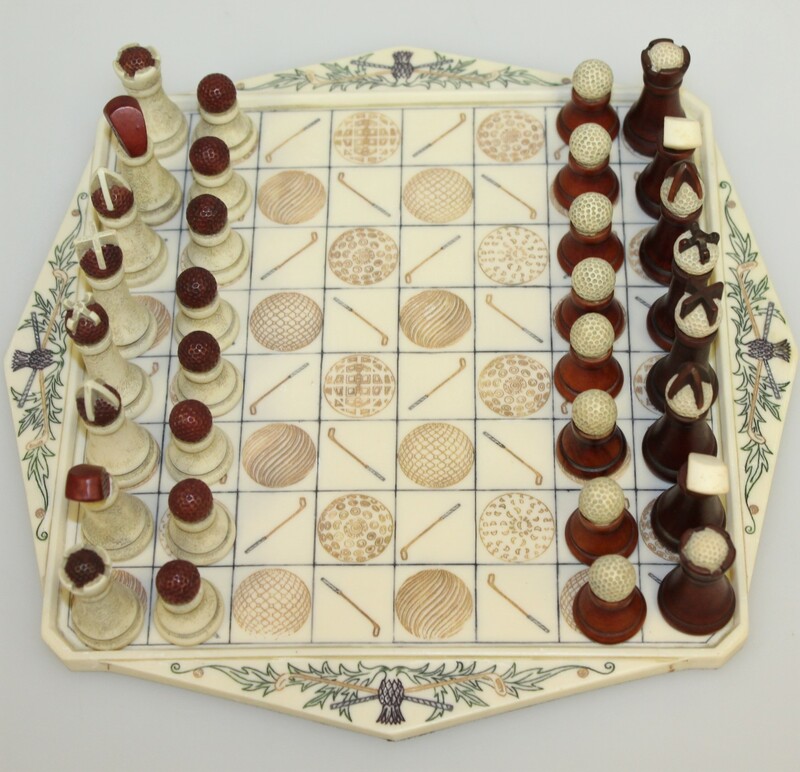 The chess pieces are stored under the board for ease. 9 1/2" x 9 1/2" x 1 3/4"